Rhubarb is, in my opinion, an often overlooked springtime delight. 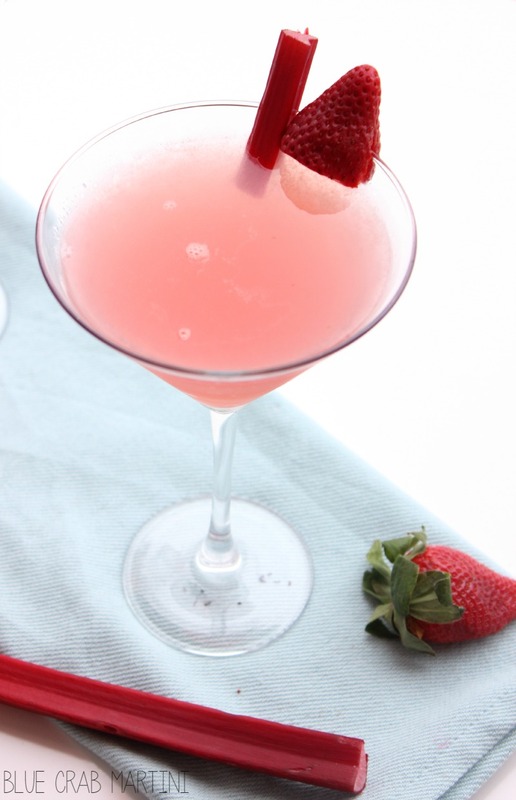 Many people find it intimidating to work with, but with the right technique, the flavor of rhubarb is an incredible addition to many dishes (or in this case, cocktails). I always look for it when strolling through my local farmer’s market and buy up as much as I can. I hope you’ll give it a try too! 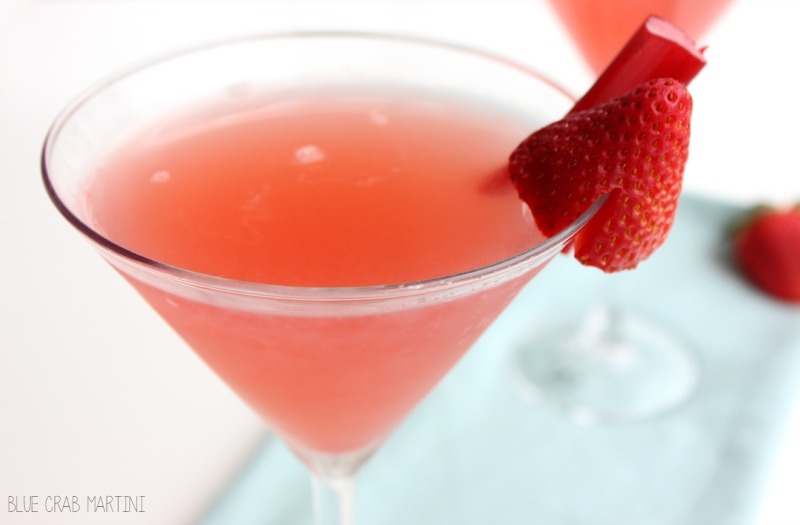 Cosmos are a vodka based drink and for this Strawberry Rhubarb Cosmo, I found a tasty strawberry vodka to really enhance the flavor. 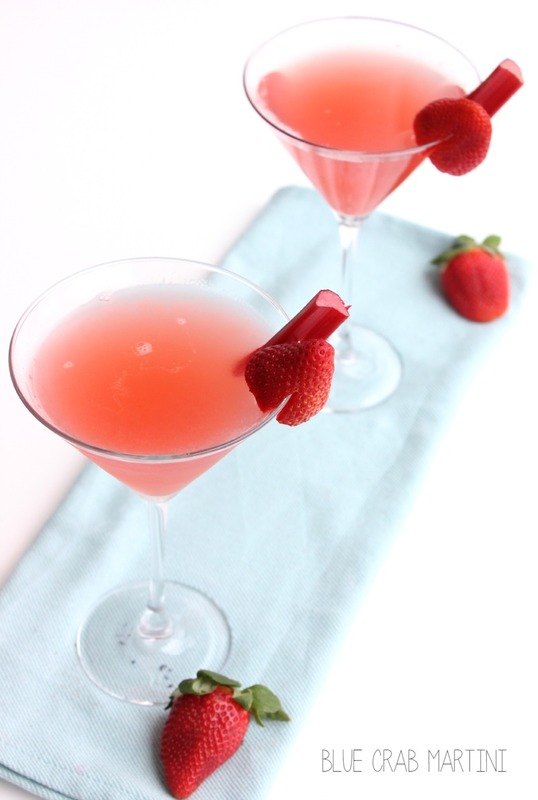 I think it gives the drink just the right amount of berry flavor without being too sweet. The days here in Annapolis are (slowly) getting warmer and warmer, and I can’t wait to sit on my front porch and sip on one of these! It’s refreshing and crisp and definitely like taking a sip of pure springtime. So if you’re out and about at your local farmer’s market and happen to spot a bundle of fresh rhubarb, go ahead and buy it, you’re in for a real treat! Let’s toast to the arrival of spring with a delicious Strawberry Rhubarb Cosmopolitan, cheers! 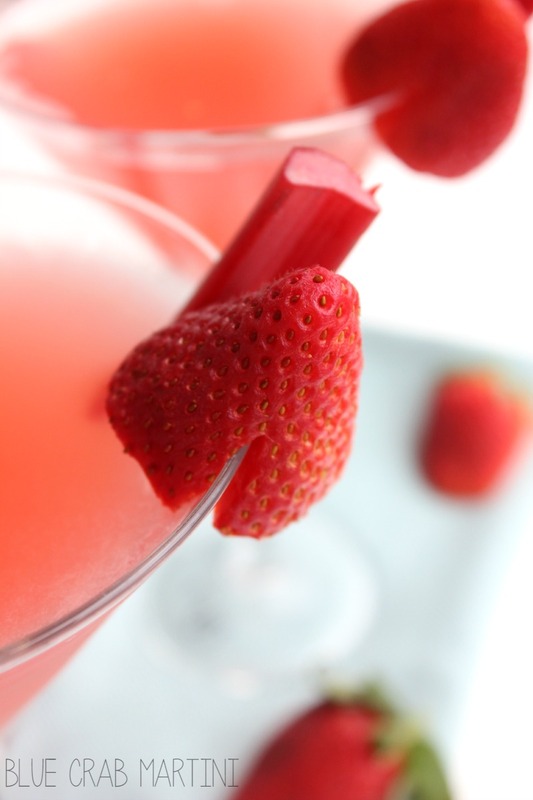 Cheers to spring with this delicious Strawberry Rhubarb Cosmopolitan! 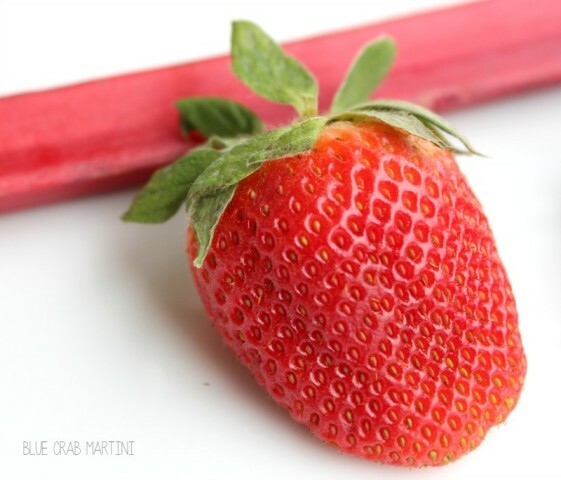 Begin by making the strawberry rhubarb syrup. Place the water and honey in a medium sauce pan over medium heat. Once the liquid begins to bubble, add the chopped rhubarb. Stir, and reduce to simmer. Once the rhubarb is tender and beginning to break down, add the strawberries and simmer for 1-2 more minutes. Set aside to cool, then muddle together and pour through a fine mesh strainer. Then in a martini shaker filled with ice, add the vodka, triple sec, and about ½ cup of the strawberry rhubarb syrup. 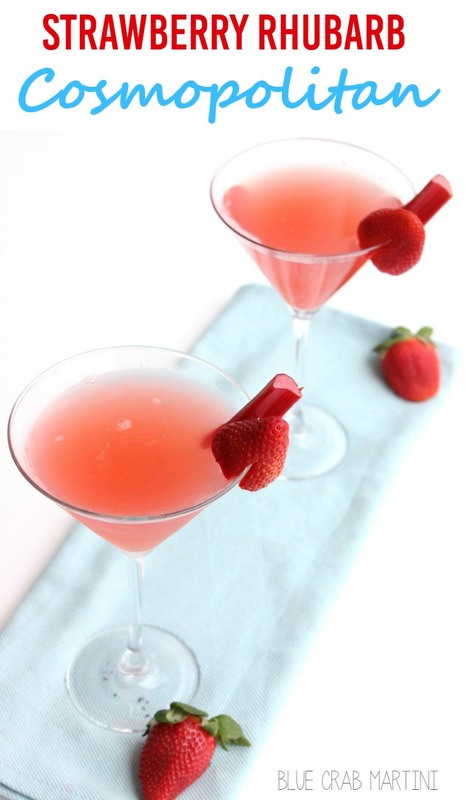 Shake until cold and pour into two chilled martini glasses. Garnish with a slice of rhubarb and a fresh strawberry. Cheers!